Agility Print are educational printing specialists, printing material for educational institutions and training organisations for over 13 years. 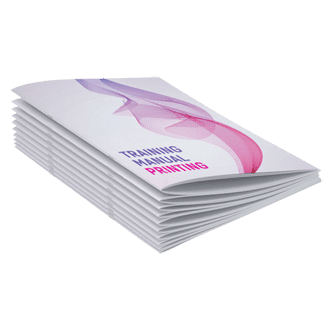 We ensure that your printed material reflects the high standards of your organisation and provide customised, full service print solutions tailored uniquely to your needs. We specialise in training manuals, flip charts, survey and exam forms, posters, presentation folders used by education institutions and training organisations. Our Agility print management system for training materials offers a flexibility not often seen in the print industry. The team at Agility Print understand the challenges that training organisations face and the limitations often imposed by the print industry for ordering. We also understand course content and legislation is constantly changing and we cater to this, so we have implemented a unique print management system that truly offers a solution. Efficient, convenient and cost effective print solutions. At Agility Print you can print just what you need, when you need it. No need to print large volumes at once and no wasted material on the shelf that is outdated. Printing and dispatch services nationwide. In-house graphic designers that can assist in upgrading the look of your material. As educational printing specialists, whether you need training material, marketing material or business stationery, simplify your ordering process with Agility Print. Print what you want, when you need it. Problem solved. Contact us today for a consultation and see why so many education and training organisations trust us with their print needs.